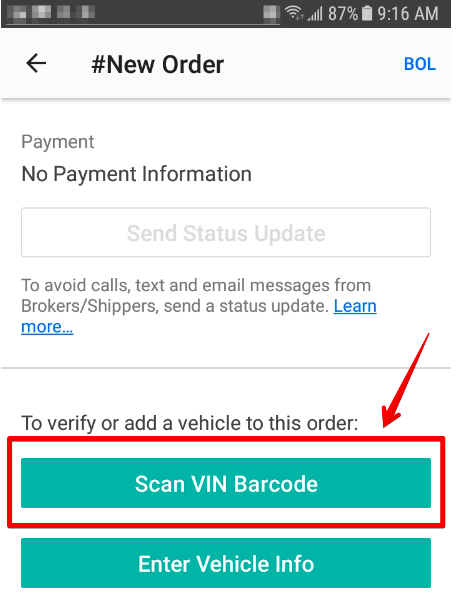 If you have an Android operating system phone (any phone that is not an Apple iPhone product) you have TWO scanner options, so you can scan now Text, barcodes, and QR codes. When you press that button, your phone's camera will open and a red line will appear landscape on the screen. Beneath the red line, you will see two buttons. One says "Main Scanner" and one says "Second Scanner." 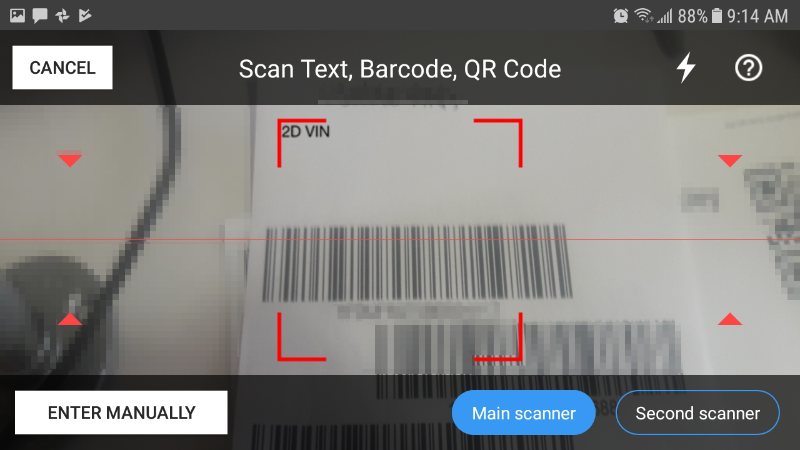 "Main Scanner" can scan Text, Barcodes, and QR Codes. "Second Scanner" is better for Barcodes and QR Codes but does NOT have text scanning ability. You can select either scanner, depending on what your needs are. When using Text Scanning, you may need to hold the camera over the font for a few seconds with a good focus. The QR scanner can scan in landscape and portrait mode!